By NIMD Director Simone Filippini. Today is International Women’s Day. Every year, on 8th March, the world turns its attention to the situation of women. For one day, the struggles and barriers they face are placed firmly in the spotlight; we celebrate the successes of women, look back on our progress and consider how far there still is to go. Of course, this is valuable. If nothing else, it raises visibility for a struggle that is very real for more than half of the world’s population. International Women’s Day is a perfect time for politicians to throw their weight behind equal opportunities for girls and boys, women and men. Many pledge their support for their female colleagues, and recognize the barriers they face in their careers. Sometimes politicians’ warm words and sincere wishes are accompanied by very little action. The World Economic Forum’s 2017 Global Gender Gap Report tells us that it will take another 160 years before women and men are equally represented in politics. That’s totally unacceptable. And it’s not something that can be fixed with warm words and visibility alone. Only with strong actions and concrete changes, can we make the difference that’s needed. Of course, women themselves must be strategic and gather the skills they need to survive and flourish in the political arena. But governments also have to take up their responsibility and put their word firmly into action to ensure that the obstacles to politically active women are removed. The theme of this year’s International Women’s Day is #pressforprogress, and that’s exactly what NIMD does. 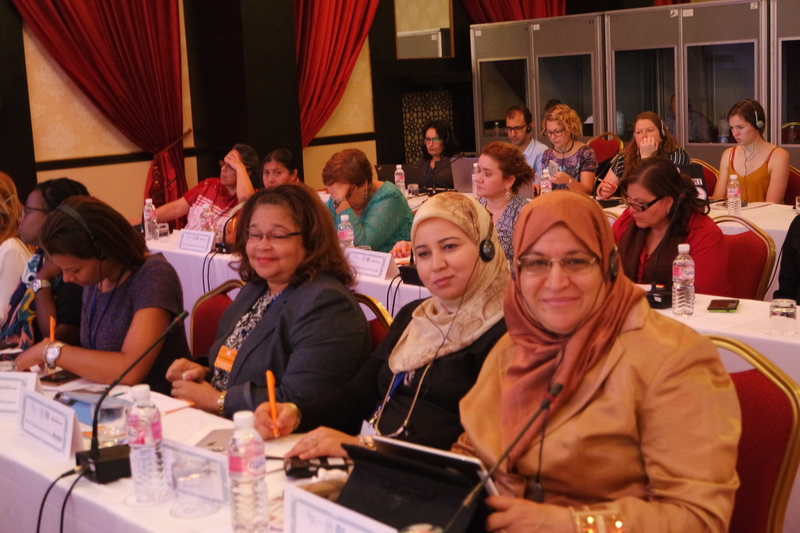 We press for real, sustained progress for women’s political participation in the countries we work in. And we press for that progress to be faster, so that the world doesn’t have to wait 160 years for women’s voices to be heard. In our experience, pressing for progress is not just about promoting a seat at the table for women. In order make real steps towards inclusiveness, we address the unwritten rules and practices that exclude women from participating in the political arena in the first place. That means working with political actors to influence national legislation, helping political parties on their internal party regulations and, last but not least, fostering an open political culture through training and dialogue. Last year, for example, we built an interactive new tool, the Roadmap to Inclusive Political Parties, which aims to help parties break down their internal barriers to women in politics. And, we worked across our programmes to amplify women’s voices and give them a platform to influence their environment. One example is Mozambique, where we supported our local partner the Instituto para Democracia Multipartidária (IMD Mozambique) to bring together 300 promising young women active in political parties and civil society. 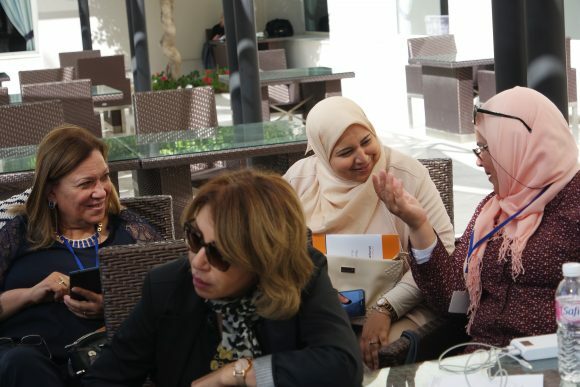 Together, the participants aimed to promote the inclusion of women in decision-making processes, and influence the peace agenda, national reconciliation and defining public policies. 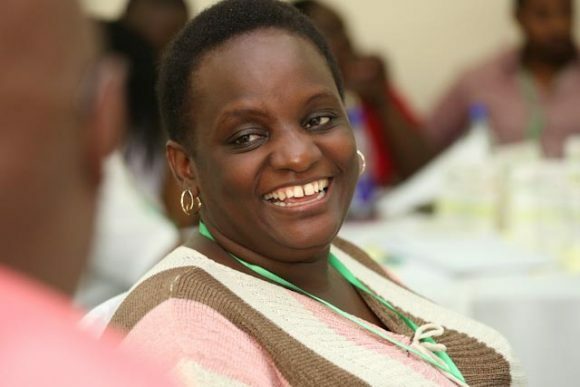 They wrote a position paper that was circulated throughout the country by the major media outlets, and which will be used to lobby political parties to ensure 50% of people on their electoral lists are women. Ultimately, of course, everything stands or falls with political will. And there needs to be a serious will among those in power to share that power. The space and support for women politicians primarily reflects the vision of leadership on society. So we will continue to empower women politicians, helping them to break through barriers and pave the way into leadership. The more women reach positions of influence, the more they will be able to change the system around them. We will also work with governments and other power holders to help them stick to the commitments they make each International Women’s Day. We need them on our side to make sure that, where 50% of the population are women, 50% of our powerful political representatives are women too. At NIMD, we are working towards a not-too-distant future where we will be able to answer that question the way we would all like to.